Hello! 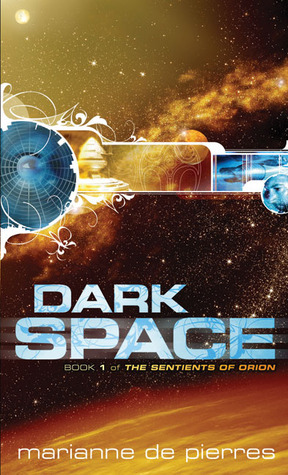 Welcome to the fourth SpecFic 101: Introduction to Speculative Fiction post. We’ve talked about Big Fat Fantasy and YA in the past, but now I want to go outside these classifications and just focus on amazing Australian authors. There doesn’t seem to be a need for a lengthy introduction, but I want to point out that one of my goals for this post is to show that, in Australia at least, women get a pretty high exposure in SFF circles. 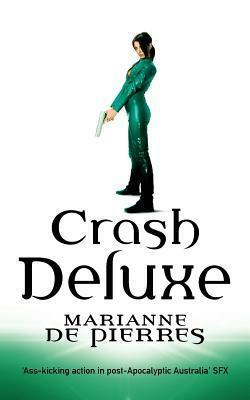 In fact, many of the most renowned female authors of speculative fiction are Australian, which is awesome. 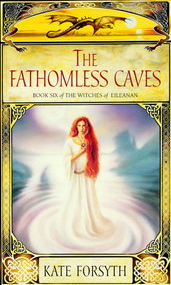 You’ll never get me to talk about Australian SFF without mentioning Melina. Surprised? Alongside her wonderful contemporary novels like Looking for Alibrandi and On the Jellico Road, Marchetta has written a poignant YA fantasy series called The Chronicles of Lumatere. 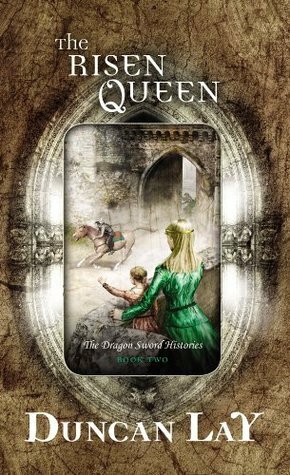 She brings her trademark character development and amazing plotlines into a richly imagined fantasy world, and the result is simply superb. 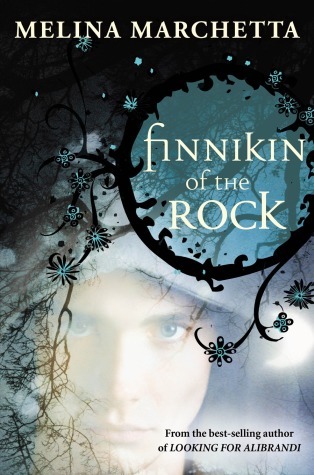 Finnikin of the Rock and his guardian, Sir Topher, have not been home to their beloved Lumatere for ten years. Not since the dark days when the royal family was murdered and the kingdom put under a terrible curse. 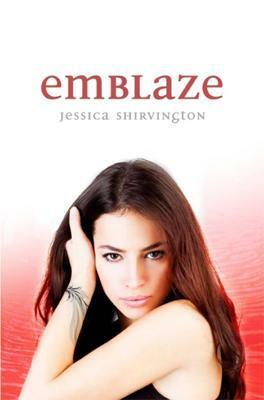 But then Finnikin is summoned to meet Evanjalin, a young woman with an incredible claim: the heir to the throne of Lumatere, Prince Balthazar, is alive. 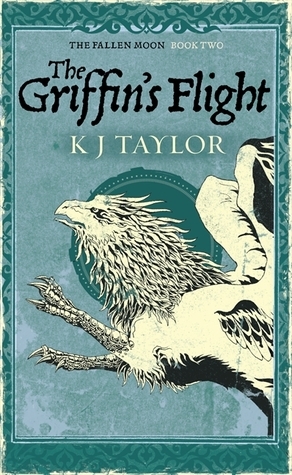 Australian steampunk fantasy, with griffins. 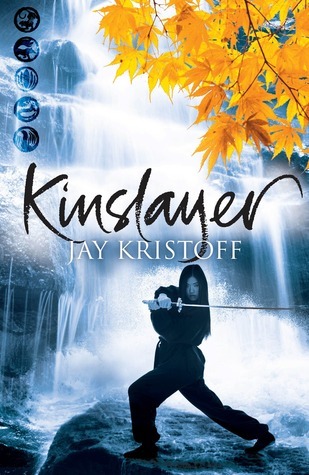 It sounded amazing to me the very first time I heard of it, and Kristoff certainly didn’t disappoint. Again, the story-building and characters are amazing, and everytime I pick up anything Jay writes I kind of just sit there and marvel at his talents. Yukiko is one of my favourite characters ever, and don’t even get me started on Buruu. 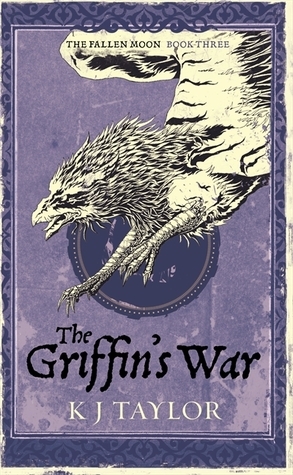 Griffins are supposed to be extinct. So when Yukiko and her warrior father Masaru are sent to capture one for the Shogun, they fear that their lives are over. Everyone knows what happens to those who fail him, no matter how hopeless the task. But the mission proves far less impossible, and far more deadly, than anyone expects – and soon Yukiko finds herself stranded: a young woman alone in her country’s last wilderness, with only a furious, crippled griffin for company. But trapped together in the forest, Yukiko and Buruu soon discover a friendship that neither of them expected. Meanwhile, the country around them verges on the brink of collapse. A toxic fuel is slowly choking the land; the omnipotent, machine-powered Lotus Guild is publicly burning those they deem Impure; and the Shogun cares about nothing but his own dominion. Yukiko has always been uneasy in the shadow of power, when she learns the awful truth of what the Shogun has done, both to her country and to her own family she’s determined to do something about it. Returning to the city, Yukiko and Buruu plan to make the Shogun pay for his crimes – but what can one girl and a flightless griffin do against the might of an empire? 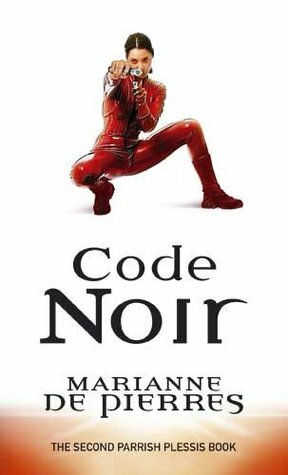 I hadn’t read anything of Marianne’s but when I saw the whole series at the bookstore, my curiosity was piqued (they are wonderful covers!). I could hardly believe the depth and complexity of the story that she wove throughout her Night Creatures trilogy – it’s delightfully dark and utterly fascinating! Retra braves the intense pain of her obedience strip, and stows away to seek her brother Joel, gone two years for Ixion – island of ever-night, ever-youth and never-sleep. Retra is a Seal – sealed minds, sealed community – no craving for parties or pleasure. What are the Night Creatures Retra can see in the shadows? What happens to those who grow too old for Ixion? Without Joel, is her eternal bond with a Riper guardian enough to save her? 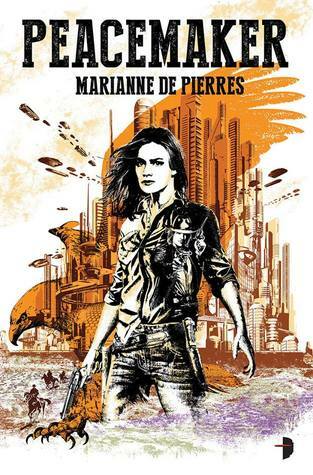 Marianne has also written other books, including the science-fiction Sentients of Orion, the Parrish Plessis series, and the upcoming illustrated science-fiction/western Peacemaker. 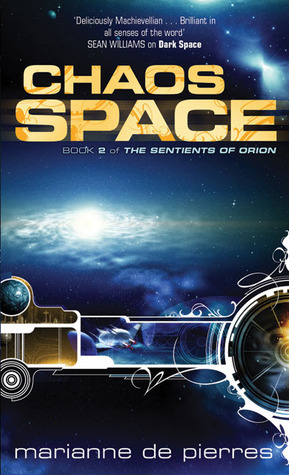 Duncan needs to be recognised more – I wish I could force everyone to read his books! Well OK, force seems … too violent. But yes, his world-building is impeccable, and his characters are amazing. 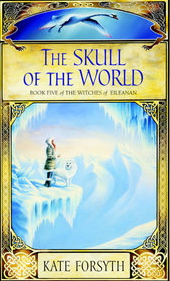 I was introduced to his work when his latest series, Empire of Bones, was released – the publicist sent me a surprise copy and I fell in love the writing and characters. 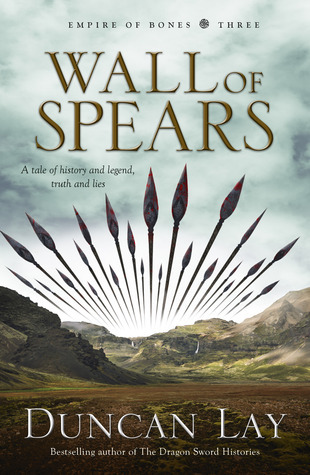 The final book in this series, Wall of Spears, will be released in early 2014 by HarperVoyagerAU. Alone in the land of Vales, Sendatsu is forced to rely on his talents as a fighter to survive. 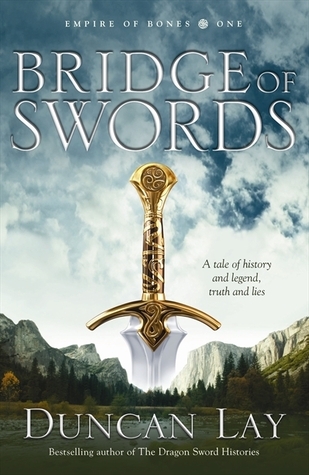 His skills are welcomes by two fugitives – Huw and Rhiannon – who are hurrying to alert the peaceful people of Vales to an impending invasion. When no one will believe them, Sendatsu becomes the wildcard in a fight for freedom. Three centuries of lies and deceit are about to burst into bloody life around Sendatsu – when the last thing he wants is to be a hero. 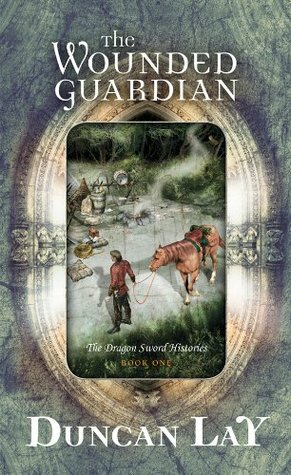 Duncan’s other acclaimed series is The Dragon Sword Histories, which I ogle every time I’m at Dymocks because they have signed editions. 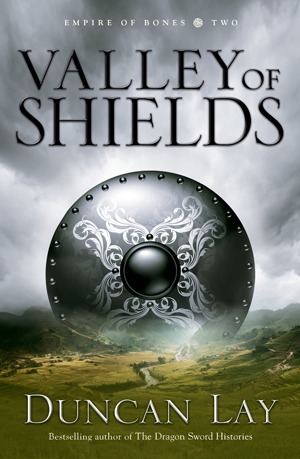 Jo stormed the Australian fantasy scene in 2011 with her début Winter be my Shield, which was again sent to me by the wonderful Voyager publicist as a surprise. I think it’s absolutely brilliant, and especially love the depth she gives her characters and her very very cold world (ice, snow, blizzards, brrrrr). 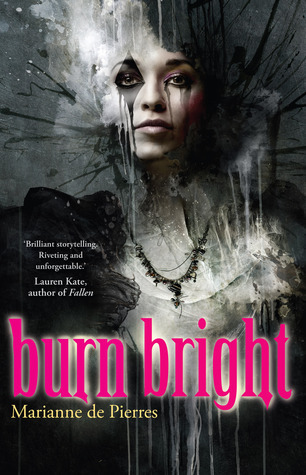 Sierra has a despised and forbidden gift — she raises power from the suffering of others. 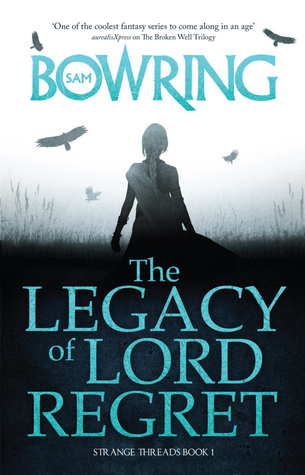 Enslaved by the King’s Torturer, Sierra escapes, barely keeping ahead of Rasten, the man sent to hunt her down. Then she falls in with dangerous company: the fugitive Prince Cammarian and his crippled foster-brother, Isidro. 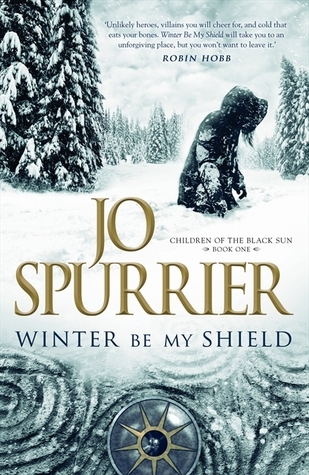 Original, dramatic and unputdownable, Winter Be My Shield is the first in an epic fantasy trilogy from brilliant new Australian talent Jo Spurrier. 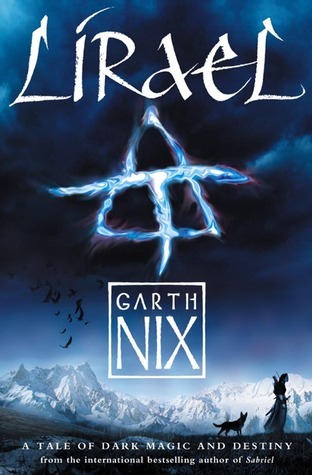 I would be very surprised if any of you haven’t heard of this prolific author – Garth has written a number of works that have come to define the landscape of fantasy and science fiction. 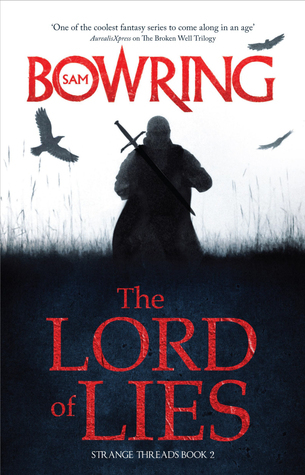 He’s written The Old Kingdom Chronicles which, aside from being quintessential, was one of my first forays into the genre, and The Keys to the Kingdom, The Seventh Tower, the middle-grade series Troubletwisters, with fellow Aussie extraordinaire Sean Williams, and a whole pile of others. 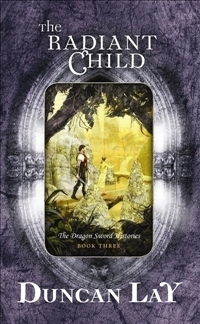 I’m focussing on the Old Kingdom novels, because a long-awaited addition, Clariel, will be released next year! 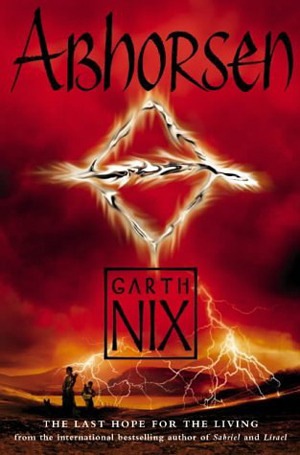 Sent to a boarding school in Ancelstierre as a young child, Sabriel has had little experience with the random power of Free Magic or the Dead who refuse to stay dead in the Old Kingdom. 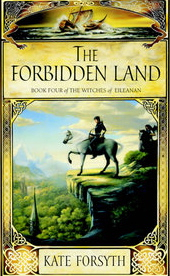 But during her final semester, her father, the Abhorsen, goes missing, and Sabriel knows she must enter the Old Kingdom to find him. She soon finds companions in Mogget, a cat whose aloof manner barely conceals its malevolent spirit, and Touchstone, a young Charter Mage long imprisoned by magic, now free in body but still trapped by painful memories. As the three travel deep into the Old Kingdom, threats mount on all sides. And every step brings them closer to a battle that will pit them against the true forces of life and death—and bring Sabriel face-to-face with her own destiny. 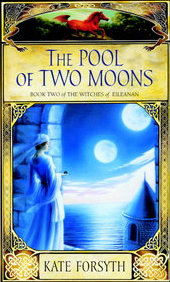 Once again, a Voyager publicist sent me the first book in The Risen Sun series, The Shadow’s Heir, and I decided to read the prequel trilogy, called The Fallen Moon, before I started it. Both are very enjoyable, and the last book in The Risen Sun, The Shadow’s Heart, will be out soon 😀 The Fallen Moon series features one of the most compelling anti-hero plots I’ve ever read, and The Risen Sun series follows it up with themes of redemption. In the land of Cymria, humans and griffins rule side by side. To be a griffiner — the human companion and ambassador to a griffin — is to have both status and dangerous responsibility. Arren Cardockson is a despised Northener, a people conquered and enslaved centuries ago. By freak chance, Arren became a griffiner, but many resent and fear his existence. 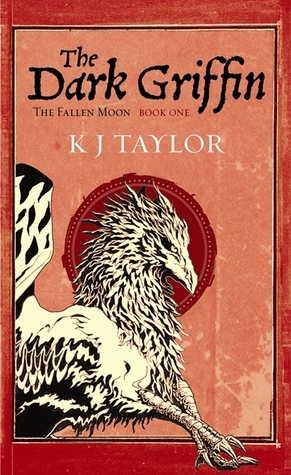 When his griffin dies during an attempt to catch a wild griffin, Arren′s life spirals out of control. Meanwhile, chained in a cage behind the fighting Arena where rogue griffins entertain the crowds, the mysterious black griffin dreams of escape. 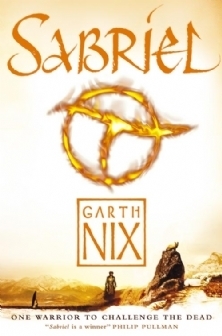 When Arren is sent to the Arena, his meeting with the renegade griffin sets his life on an inexorable path of murder, conflict — and an encounter with his past. 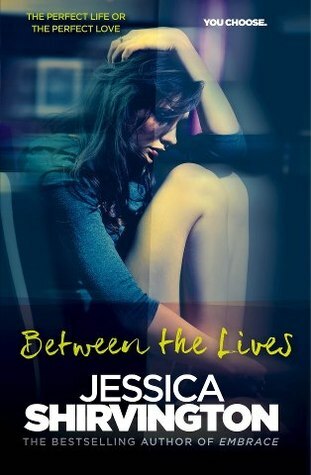 Jessica’s Between the Lives, a poignant book about a girl who lives each day twice – once as the perfect daughter of privileged parents, and again as a kid labelled as a troublemaker in a lower income household – is one of my favourite books of the year. This book deserves all the praise its already received, and then some more! 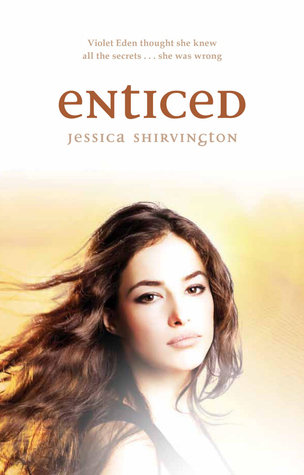 Shirvington is also the author of The Violet Eden Chapters, a five-novel series centred on fallen angels. 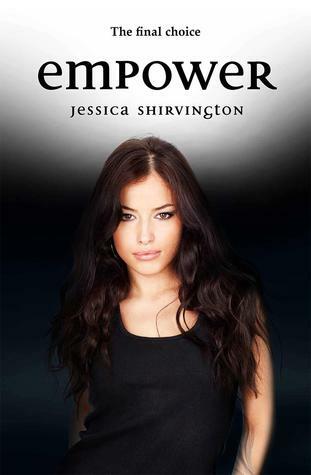 The last book of this series, Empower, came out recently in Australia, and will be out soon internationally. For as long as she can remember, Sabine has lived two lives. Every 24 hours she Shifts to her ′other′ life – a life where she is exactly the same, but absolutely everything else is different: different family, different friends, different social expectations. In one life she has a sister, in the other she does not. In one life she′s a straight-A student with the perfect boyfriend, in the other she′s considered a reckless delinquent. Nothing about her situation has ever changed, until the day when she discovers a glitch: the arm she breaks in one life is perfectly fine in the other. With this new knowledge, Sabine begins a series of increasingly risky experiments which bring her dangerously close to the life she′s always wanted… But just what – and who – is she really risking? 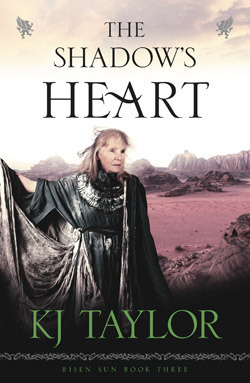 Kate is a brilliant storyteller – her lyrical writing and vivid realisations never fail to impress me. 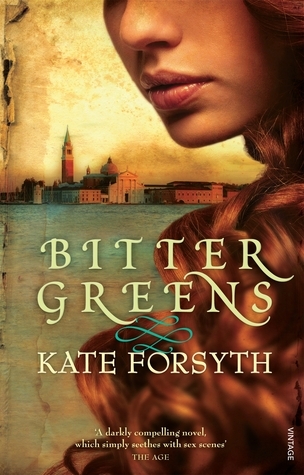 My first foray into her work is the gorgeous Rapunzel retelling, Bitter Greens, which she contacted me about when my blog was still very young, and asked me if I wanted to review it. There was much happy dancing, because an author was contacting me, and I still have the same reaction on the rare occasions that authors email me. I once recommended Bitter Greens to Maggie Stiefvater when she asked for “books like [her’s]”.I think she enjoyed it too (I’m not sure as she didn’t get back to me, but the two people who saw our conversation and picked up Bitter Greens loved it). Since then, I’ve bought (and not read, as usual) Kate’s The Witches of Eileanan series, and her latest release, The Wild Girl. 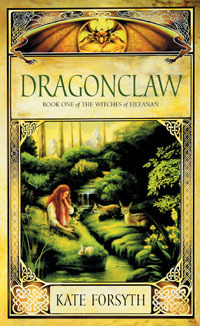 Kate has also written lots of stories for younger readers, including The Chain of Charms and The Starkin Crown. Selena is the famous red-haired muse of the artist Tiziano, first painted by him in 1512 and still inspiring him at the time of his death, sixty-four years later. Called La Strega Bella, Selena is at the centre of Renaissance life in Venice, a world of beauty and danger, seduction and betrayal, love and superstition, retaining her youth and beauty by the blood of young red-haired girls. Three women, three lives, three stories, braided together to create a compelling story of desire, obsession, black magic and the redemptive power of love. I talk about Sam at every opportunity. I’ve had a few wonderful opportunities to talk to him as well, and I’m always surprised by how unassuming he is. I think his books are the bees knees! His first published series is The Broken Well Trilogy, which cleverly examines whether good and evil, positive and negative, translate into the human soul. 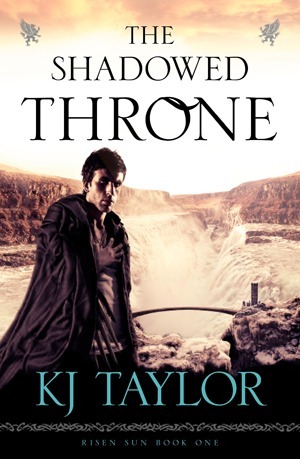 His more recent books comprise the Strange Threads duology, which I absolutely loved. Since I talked about The Broken Well Trilogy in a previous SpecFic 101 post, here’s a look at Strange Threads. Centuries have passed since the Wardens slew the tyrant Lord Regret, but while the Wound that he ripped in the sky remains open, the earth trembles and the sun vanishes without warning. The great warrior Rostigan wanders Aorn, weary of battle and unwanted renown. With him travels his lover, the minstrel Tarzi, who hopes she may soon witness further deeds from him worthy of song and tale. 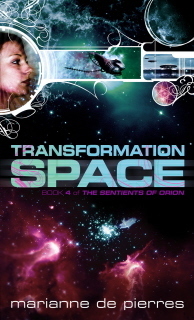 Despite Rostigan s reluctance to re-enter the world, she may get what she wishes for . . . When they travel to the once magnificent city of Silverstone they discover it has been wrenched out of existence. Journeying onwards, they come to learn the disturbing truth. The land has descended into chaos for the Wardens, now craving destruction, have returned from their ancient graves and Lord Regret s malicious legacy grows ever stronger, corrupting the very nature of reality. So, how many new authors have you got on your lists? If you’re particularly industrious, you may have already read them all! So I have a few more! Ok ok, I’ll stop now!! Let’s Discuss: Have you read any of these authors? Have you enjoyed them? Do you have any more to add to the list? 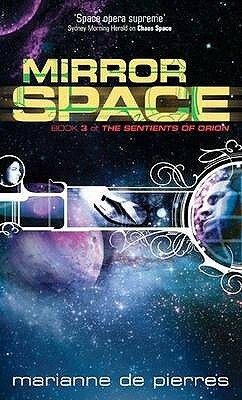 I’m really curious: have you read any of the books I have recommended through this series? If so, did you enjoy it? I’m interested in whether I’m actually helping anyone out! I have read a fair few books on this list, I love Australian authors and think we have some of the best in the world. I absolutely loved The Chronicles of Lumatere, one of the best YA series I have ever read! 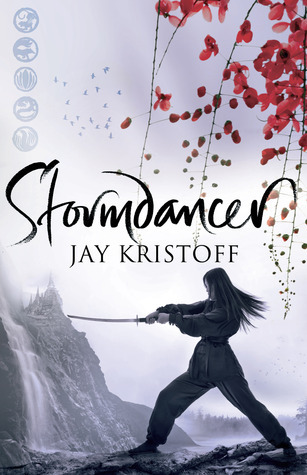 I got Stormdancer for my birthday and can’t wait to read it. 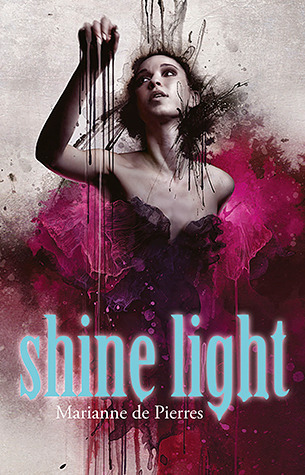 I loved burn bright and Angel Arias and can’t wait to read Shine Light. 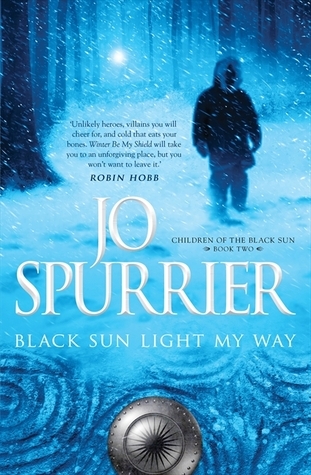 I loved Jo Spurrier’s books, and Jessica Shirvington’s, and am looking to read K.J. Taylor and Garth Nix in the future. I love Paula Weston too. Can I recommend any book by Australian female author Tansy Rayner Roberts, I have read book one in her creature court trilogy ‘Power and Majesty’ from Harper Voyager (2010) and it was amazing. Also Deborah Kalin. 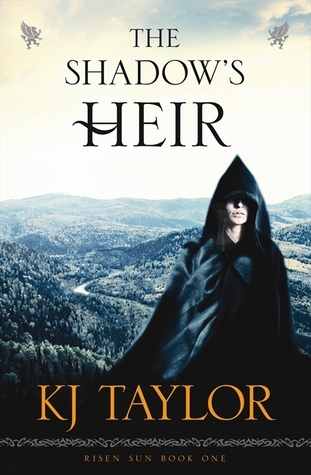 In 2009/2010 she released Shadow Queen/ Shadow Bound an epic fantasy duology that I loved but I think is little known, which is sad because her books are really, really good. And not to mention Ambelin Kwaymullina with her dystopian series ‘The Tribe’ (The Interrogation of Ashala Wolf/ The Disappearance of Ember Crow) A must, must, must read! Wow, as I said, I love Australian authors. I think they are brilliant. Thanks for sharing. Rochelle Sharpe recently posted…Review: The Disappearance Of Ember Crow by Ambelin Kwaymullina. 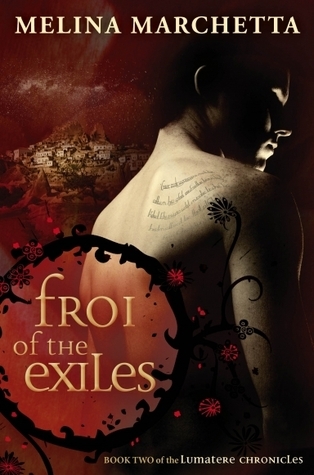 Oh I love love love Kate Forsyth, Kristoff, Marchetta, Nix,… I’d better stop there. Prominent on my bookshelf though are Alison Croggon, Trudi Canavan, and Traci Harding. These are pretty good authors. I’m surprised that I’ve read and/or heard of at least half of them. The others I am tempted to read now. You got contacted by Kate Forsyth?! That’s so cool. She’s the author that spawned my love of fantasy when I decided to get The Starthorn Tree from the library a few years ago. I then decided to read as many of her novels as I could get my hands on. I still need to read Bitter Greens. I own it, just haven’t gotten to it quite yet. 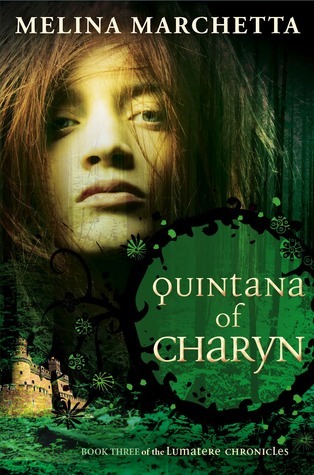 Australia does have great female fantasy authors. 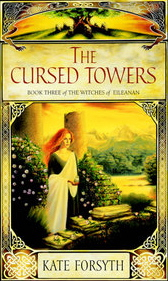 Some of my favourites are Trudi Canavan (The Black Magician Trilogy), Traci Harding (The Ancient Future Series), Isobelle Carmody (The Obernewtyn Chronicles) and Fiona McIntosh (The Quickening Trilogy).